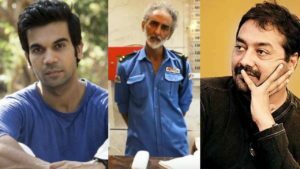 Anurag Kashyap and Rajkummar Rao tweeted their support for Savi Sidhu, an actor who is currently working as a security guard in Mumbai. Savi Sadhu has played a role in movies like Patiala House, Black Friday, and Gulaal. Recently, a video was posted on YouTube by Film Companion, the channel showed the struggling days of Savi Sidhu and the story of how he ended up as a security guard. After the video went viral, Rajkummar thanked the YouTube channel for sharing the real life story of Savi Sidhu. Savi Sidhu started out his career in Bollywood by acting in movies of Anurag Kashyap. Savi is currently working for 12 hours per day as a security guard.